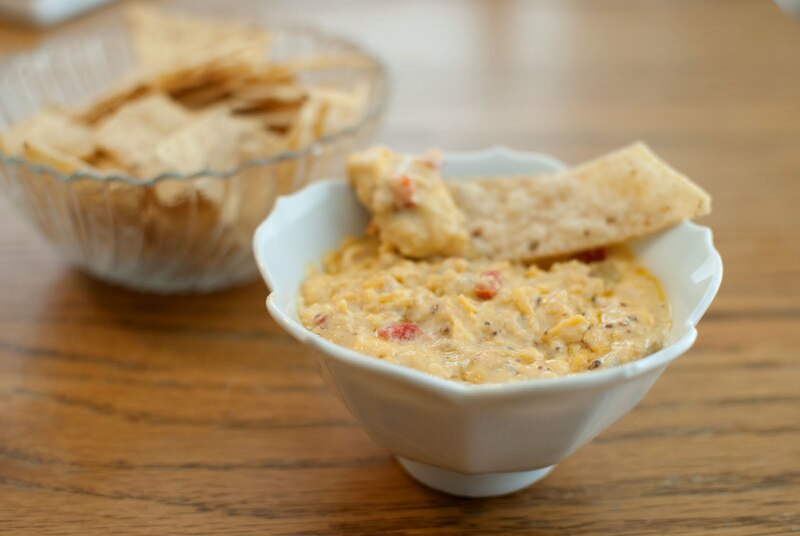 Here in the south, we love, LOVE pimento cheese. It’s right on up there with grits and pecans. And sweet tea, of course! In Asheville, we have lots of fabulous restaurants. (Sneak peek: Come Fall, a new series will be being published: Asheville restaurant reviews!) However! My absolute-hands-down-favorite restaurant is Tupelo Honey Cafe. OMG. My family and I have been going there for the past 10 years – it’s the one place we can all agree on, AND get something we like! One of the “things” I like best about Tupelo Honey (besides their goat cheese grits, rosemary lemonade & pimento cheese dip) is their farm. Sun Shot farms is the local farm they use to bring the freshest veggies & goodness to the table. Thank you, Tupelo Honey for using sustainabilty to benefit our creation! 1/2-3/4 cup Mayonnaise, depending on sticky you would prefer! Combine all ingredients in bowl and mix well. Scoop into baking dish and bake at 350˚ for 20 minutes, or until brown and bubbly! Serve with tortilla chips, fresh vegetables, or crackers. YUM. P.S. 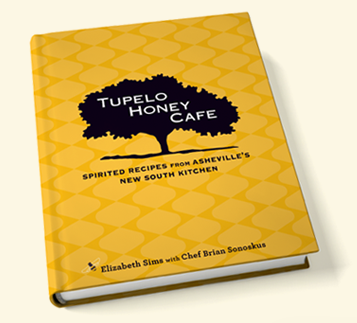 Tupelo Honey has a new COOKBOOK out! It is wonderful. All my favorite recipes! Go buy a copy today for your self, for your mama, for your sister, for your brother. I ate there for the first time when we were in NC last. My goodness it was good! I am a huge pimento cheese fan! I first learned to make it when we were living overseas, and of course, it was no where to be found. Your recipe is quite different, so I look forward to trying it out. And I have to agree, THC is the bomb! Great post, Ashley!